Organizing makes us all stronger, and to help with campaigns and messaging, we introduced the Email and Digital Organizing Guide for IATSE local unions. Whether you are putting together an email newsletter or a campaign microsite, digital organizing is a powerful toolset for unions, and this guide covers email writing tips, effective union messaging, best practices for petitions, and more. Click here to download the Email & Digital Organizing Guide. 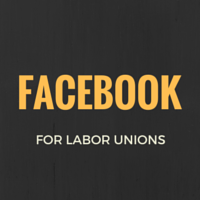 As a response to the increased interest Local unions and members have expressed in social media, we are happy to provide the IATSE Social Media Guide and Netiquette Guide as an introduction to Facebook and Twitter, and how it can be used as a professional tool for a local union or member. Click here to download the Social Media Guide and click here to download the Netiquette Guide. In the Social Media Guide, you’ll learn how to create and maintain Facebook pages and Twitter accounts, as well as receive answers to frequently asked questions. There is background information on social media networks and their merits, and an abundance of resources you can consult once you’re on your way. The Netiquette Guide explains the social code of the Internet – the dos and don’ts of the internet that you can share with members. If you'd like both in one convenient document, click here to download them as one PDF. We want your feedback! If you have comments, questions, or want a hard copy of the Social Media Guide, please contact the IATSE Communications Department at comms [at] iatse [dot] net. The IATSE Communications Department created two narrated social media trainings specifically for unions that are available for free! The Facebook Best Practices training provides guidelines on running a page for your local union and covers page moderation, content creation, and insights and tracking. 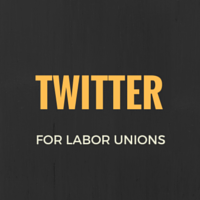 Our Intro to Twitter for Labor Unions training walks you through making an account, content creation, and using hashtags. Both trainings use plenty of examples from the IATSE and other labor unions, and we’ve given them to audiences at the AFL-CIO New York City Central Labor Council where we’ve received excellent feedback. You can find a full list of social media resources in the Social Media Guide – click here to download! The AFL-CIO has a very robust online presence, and they've worked with other labor unions within the AFL-CIO to put together dozens of trainings for using digital tools. The entire series is tailored toward unions. The IATSE developed and ran a webinar about using hashtags, in conjunction with the AFL-CIO's Digital Training Series. If you’re a Twitter newbie, this quick and specific training will give you the ins and outs of hashtags: how to start one, why it’s useful and how to track the impact of a hashtag. Lynda.com offers over 3,500 online courses taught by recognized industry experts and working professionals in Communications, Marketing, Design, Web, and more. IATSE offers premium annual discounted Lynda.com subscriptions to members in good standing and local union staff. Learn more about this partnership here. Wellstone now houses the New Organizing Institute, a group that helped folks use “digital tools” (email, social media, text messages, etc) for organizing purposes. For example, the 2008 Obama campaign is widely credited for using digital tools in new, innovative ways and was able to reach a massive audience. The link above will take you to a page about online organizing, and from there you can click around and find how to effectively use social media, making videos, writing emails, blogging, building a website, and so on. Offers courses on labor and communications, and qualifying IATSE members can use LEAP funding to reimburse classes. Click the links below to download the Email & Digital Organizing Guide, Social Media Guide, and Netiquette Guide as PDFs.